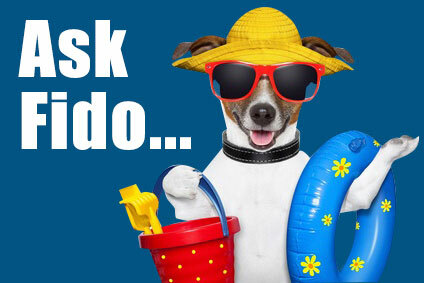 Great weather and great food make L.A. a wonderful place to enjoy a meal or a snack with Fido. Every dog out in public is an ambassador for his species. Dogs that bark, beg food from other diners and can’t sit or lie down while you eat salt the debate whether dogs should be banned entirely from restaurants. 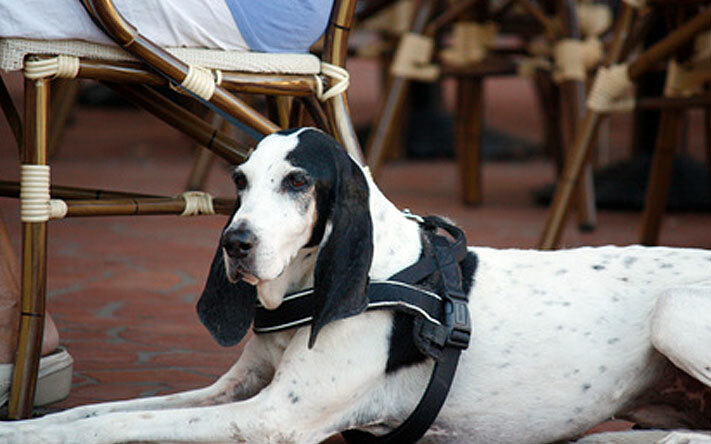 Since 2012, the Los Angeles County health department rules have allowed restaurant owners to choose whether to allow dogs on their outdoor patios. “I love the dogs my customers bring to my restaurant,” said Vasek, the manager of Spumoni, 14533 Ventura Blvd., in Sherman Oaks. Dine out often. The more familiar your dog is with dining out, the more at ease he will be. If your dog is reactive to people, traffic noise or other dogs, go for a snack during off peak hours instead of a full meal. Business before pleasure. Walking your dog around before sitting down to eat. This helps take the edge off your dog’s excitement. It also avoids embarrassing bathroom breaks. Nothing makes you less welcome to other diners or a restauranteur than a dog relieving himself nearby. Positioning is everything. If you can, avoid tables that are close to the restaurant’s entrance or close to sidewalk and street traffic. Sitting between your dog and the sidewalk or traffic paths helps make him or feel safe. That way your dog may not feel the need to react to other diners, pedestrians or cars. Stay alert to what’s coming down the sidewalk. It’s easy to get into a conversation with a friend. You can lose track of the dynamic world passing on the sidewalk. But your dog won’t. He will spot every skateboarder, dog, child, or person in a wheel chair or using a walker. Keep a tight hold on a short leash, so your dog isn’t scaring anyone. Assign a friend to watch what’s coming up behind you. Bring your own treats. If you have a dog who never begs while you eat, we salute you! Fido uses mind-bending focus to gain samples of what I’m eating. Restaurant food can be rich, unfamiliar and upsetting to a dog’s digestion. Having treats at hand can help control a dog’s behavior without regrets later.